I could tell that this person was really sweet as she settled down at her table. I almost had enough time to sketch a second pose, but my 15 minutes were up before I got too far. The erasures photographed as grey areas, giving a smudgy look to the piece. 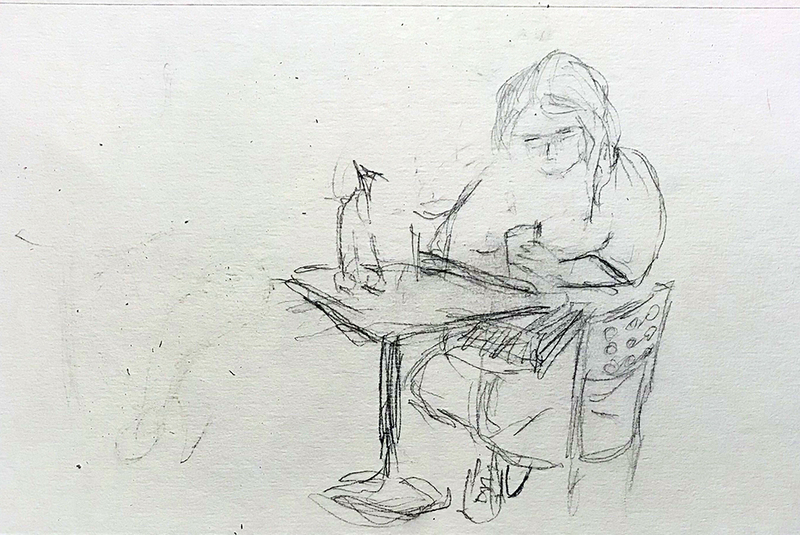 This entry was posted in Personal Stories and tagged 15 minute sketch, artistic process, creativity, drawing, erasing, pencil sketch, portrait, reader, sketch, visual arts. Bookmark the permalink.